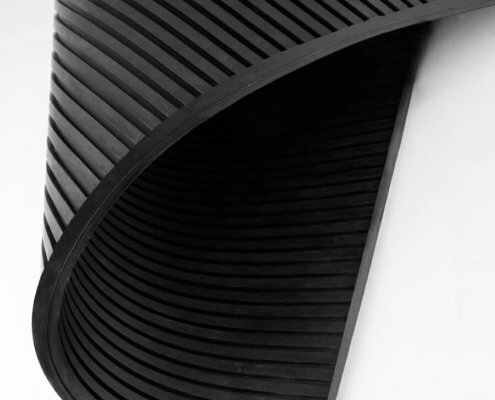 Junta Polymers rubber wide ribbed floormattings are provided with an antislip wide ribbed pattern on the surface, with on the bottom side a fine cloth impression for a good attachment to your existing floor. 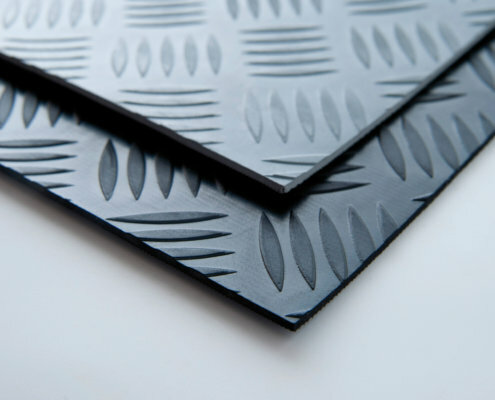 Different widths and thicknesses available from stock! 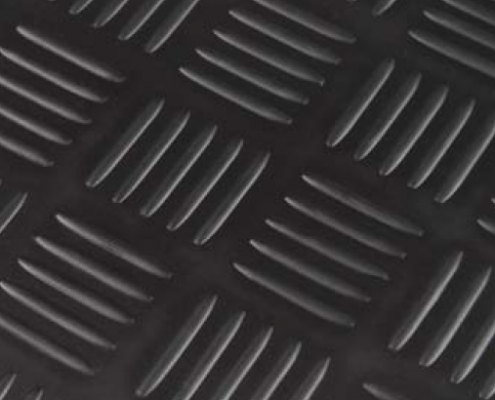 Junta Polymers rubber checker floormattings are provided with an antislip checker pattern on the surface, with on the bottom side a fine cloth impression for a good attachment to your existing floor. 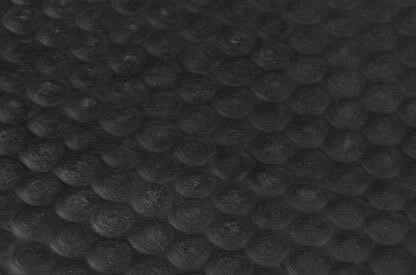 Junta Polymers rubber diamond floormattings are provided with an antislip diamond pattern on the surface, with on the bottom side a fine cloth impression for a good attachment to your existing floor. 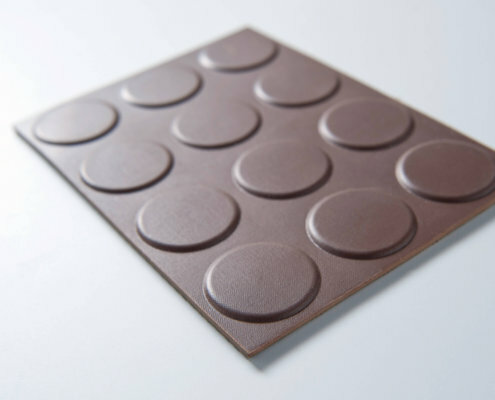 Junta Polymers rubber round stud floormattings are provided with an antislip round stud pattern on the surface, with on the bottom side a fine cloth impression for a good attachment to your existing floor. 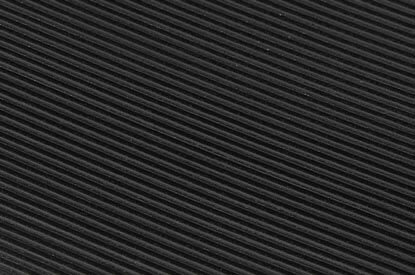 Junta Polymers rubber fine ribbed floormattings are provided with an antislip fine ribbed pattern on the surface, with on the bottom side a fine cloth impression for a good attachment to your existing floor. 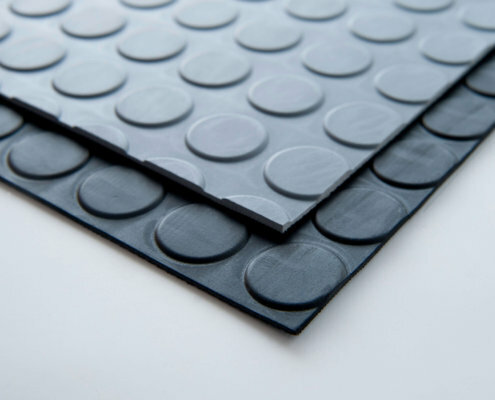 Junta Polymers Premium rubber Round stud floormattings are provided with an antislip stud pattern on the surface, with on the bottom side a fine cloth impression for an ultimate attachment to your existing floor. 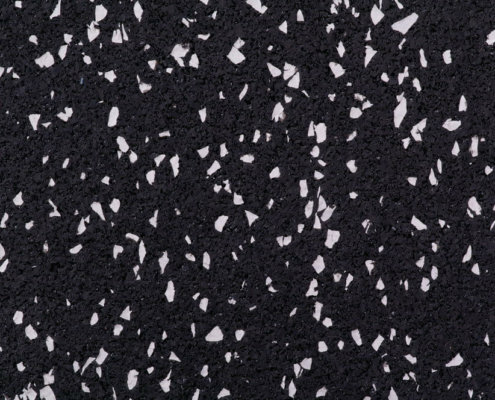 Junta Polymers Premium rubber checker floormattings are provided with an antislip checker pattern on the surface, with on the bottom side a fine cloth impression for an ultimate attachment to your existing floor. 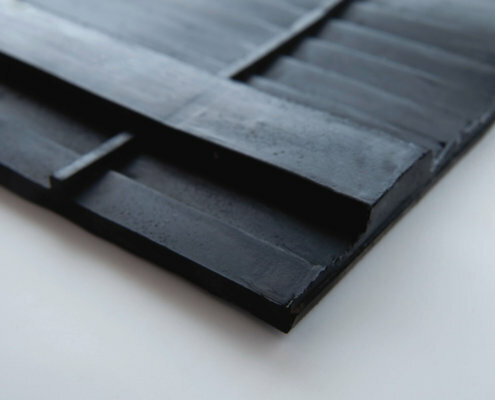 Junta Polymers rubber Hammergroove floormattings are provided with an antislip pattern on the surface and the other side a cloth impression for a good attachment to your existing floor, which are designed for horse or cowstables. 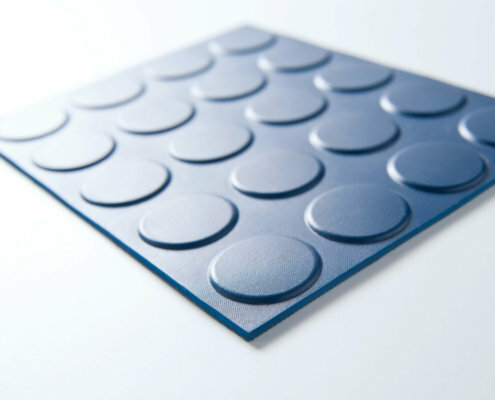 These floormattings are urine resistant. 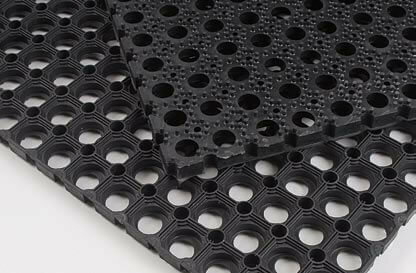 Entry matting for horse trailers. 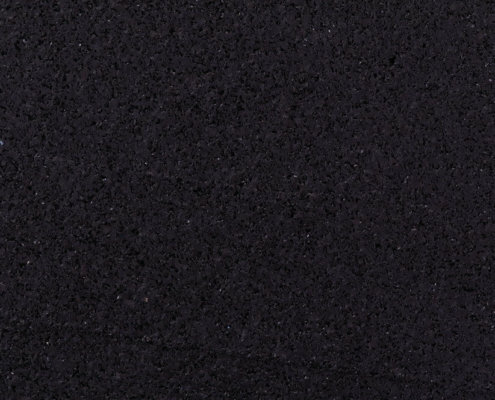 Junta Polymers rubber floormattings are used for truck load spaces due to it’s wide roll widths up to 2m and different thicknesses (3 , 6 , 8 , 10mm) and extreme antislip cloth impression. 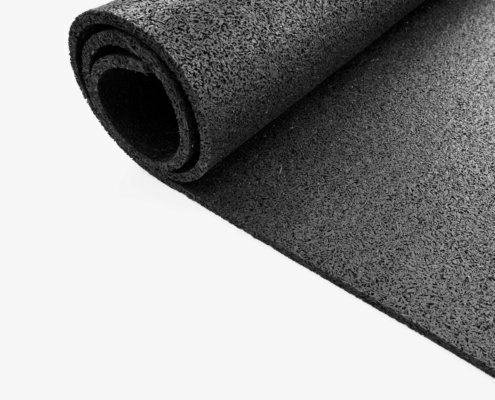 Junta Polymers rubber anti vibration matting can be used to reduce vibrations caused by machineries or others vibrating tools. 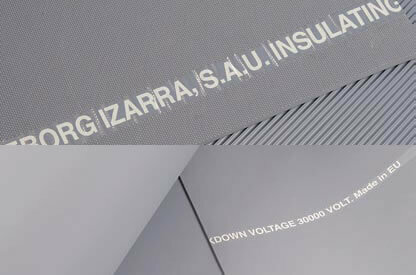 Junta Polymers grey fine ribbed insulation matting in 30 and 50 kv (Class II and Class IV) is used in high-voltage cabins. 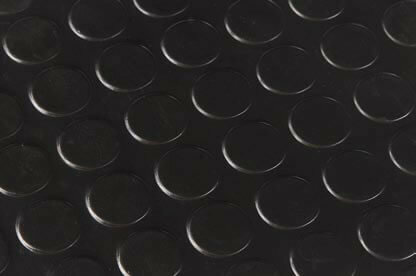 Fine ribbed surface with on the other side fabric or cloth impression for good attachement to your floor. 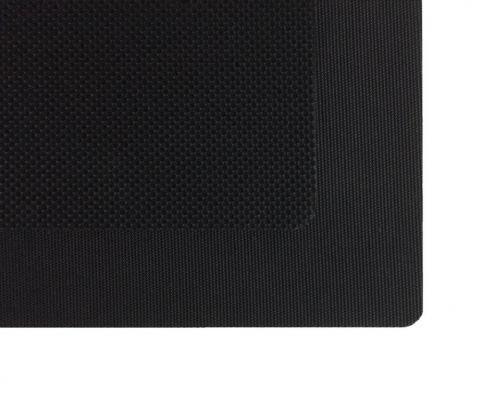 This matting meets the applicable standard IEC 61111. 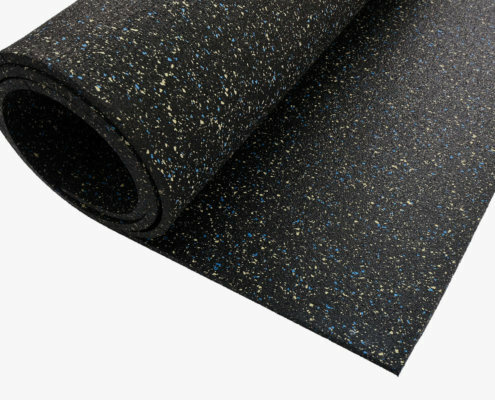 Flexibel antislip floormatting for all your sportactivities such as Zumba, yoga, Fitness and many more sport activities. 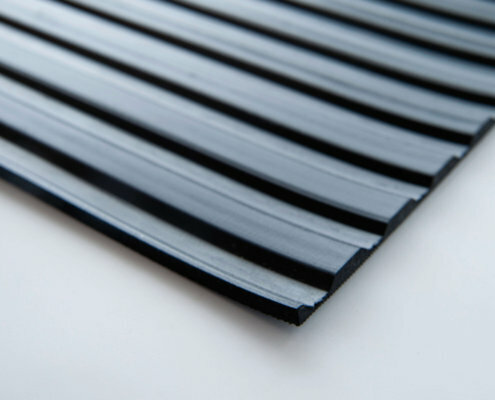 Junta Polymers recycled rubber antislip mattings are provide in the transport Industry due to it’s cheap/good quality rate. 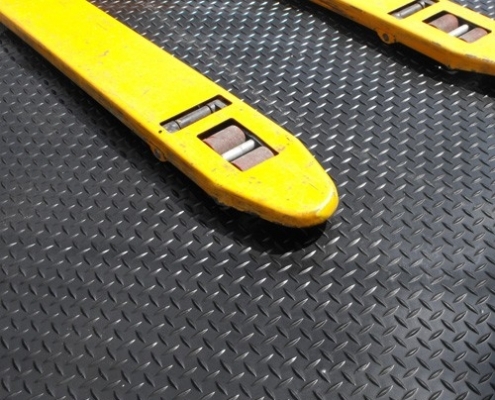 It can be used down under pallets for transport or to protect valuable products for damage.